Compatible with Google Pixel 3. Note: Please remove this case when use wireless charger as the ring stand is metal.The liquid is WHITE MINERAL OIL ,SGS passed which is harmless to our skin. Diamond rhinestones are embedded around the edges. Made for teenage girls and women. Liquid can move freely, just like the stars floating in the water, will make much fun to you and your friends or family. (There are two empty holes on the edge for you apply the neckstrap)Diamond rhinestones are embedded around the edges. Made for teenage girls and women. 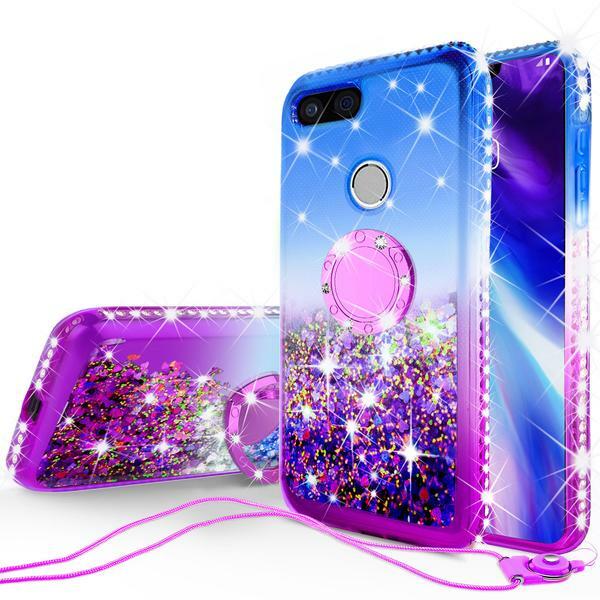 Unique Ring Kickstand offers 360 degree rotating which allow hands-free viewing from any angles.The sparkle are made underneath the case which avoid the direct touching of the glitter paper. It will always look new and sparkly. (There are two empty holes on the edge for you apply the neckstrap)Anti-scratch protection and the shockproof air-cushion corners could absorb impact when your Google Pixel 3.